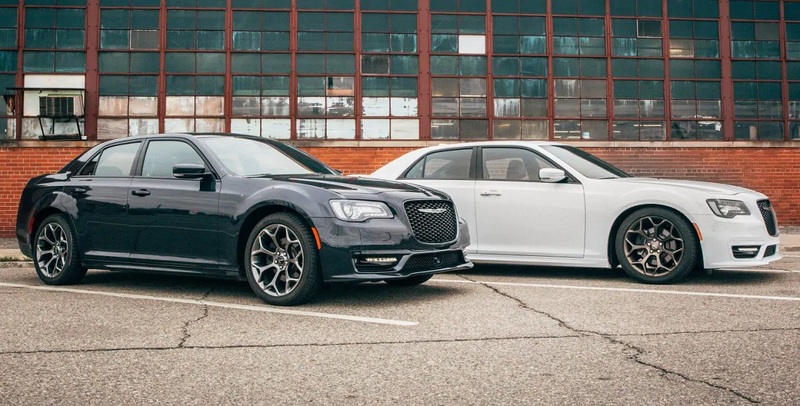 The 2019 Chrysler 300 is a vehicle unlike any other new car on today’s roads. It combines interior luxury with top-notch performance and upscale styling. Owners benefit from decent fuel economy without sacrificing power or comfort. The roomy sedan provides a robust engine, quiet cabin and abundant safety features. Long Island motorists can choose one of four exciting trim levels. Each version caters to a different type of driver. For example, the Limited trim may appeal to someone who wants a particularly comfortable car. On the other hand, the 300S supplies the most performance-oriented features. All of the trim levels deliver plenty of interior space, a sophisticated infotainment system and long-lasting equipment. Many motorists on Long Island New York find that this car is enjoyable to drive yet highly practical. A towing package is even available. This sedan’s exterior recently underwent some changes that gave it broader appeal. Chrysler’s latest design is eye-catching yet durable. The car has a black grille and two exhaust pipes with chrome tips. Base-model vehicles feature heated mirrors and multiple LED lights. The standard wheels measure 17 inches. When buyers select the 300S trim, they receive summer tires and the wheel size increases by three inches. An optional appearance package adds a spoiler, high-end fog lights and other extras. This makes the car look sporty yet impressive. The 300C version also boasts large wheels. It replaces the standard halogen headlights with xenon units. The Chrysler 300’s spacious cabin holds a maximum of five people. It’s an excellent choice for single drivers as well as families. There’s room for up to three child safety seats in the rear passenger area. The wide seats maximize comfort on lengthy trips. Optional seat heaters prove popular at dealerships serving Amityville, Westbury, Massapequa; they come in handy during New York’s chilly winters. The well-sealed cabin also keeps cold air at bay. It minimizes highway and weather noise as well. The car’s climate control system has two zones; this equipment rapidly warms or cools the interior at any time. Motorists benefit from many appealing standard amenities. They include a leather steering wheel, tachometer and built-in compass. The vehicle’s technology features range from keyless entry to Android and CarPlay integration. Additionally, the 300 offers a touch screen that measures 8.4 inches. The stereo comes with six audio speakers, but drivers may add three more speakers by choosing the premium system. Chrysler has worked to ensure that the 300 represents an example of superior mechanical engineering. Reviewers have praised the high quality of its materials and construction. They say that it compares well with costly European luxury autos. The 2019 model has a tighter suspension than its predecessors. Some buyers may prefer the performance-oriented suspension of the 300S trim. Optional all-wheel drive increases traction without sacrificing performance. It appeals to drivers who must contend with winter weather on Long Island New York. Cars with AWD include slightly larger wheels. The 300’s disc brakes enable motorists to stop quickly when an unexpected obstacle appears. Owners also benefit from stability and traction control. The traction control system works to maximize the stability of any trailer. To improve fuel efficiency and safety, the sedan automatically monitors its tire pressure. 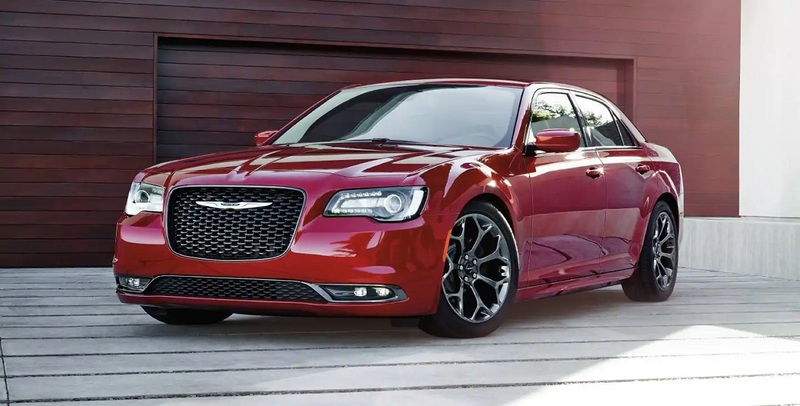 Unlike many manufacturers, Chrysler continues to offer sedans with big, powerful engines. Motorists can purchase the 300 with a Pentastar six-cylinder engine that generates 292 horsepower. It achieves 19 to 30 miles per gallon; these numbers may vary depending on the options and trim level. A helpful dashboard display shows the current level of fuel efficiency. Long Island drivers who want even faster acceleration may favor the eight-cylinder HEMI engine. The 300C trim includes this unit at no extra cost. This 5.7-liter engine produces 363 horsepower and 394 pound-feet of torque. Consequently, it’s easy for the 2019 Chrysler 300 to handle highway speeds, extra passengers, hills and even light towing. The car comes with an automatic gearbox that has eight speeds. If you prefer to shift manually at times, you’ll appreciate the transmission’s paddle shifters. 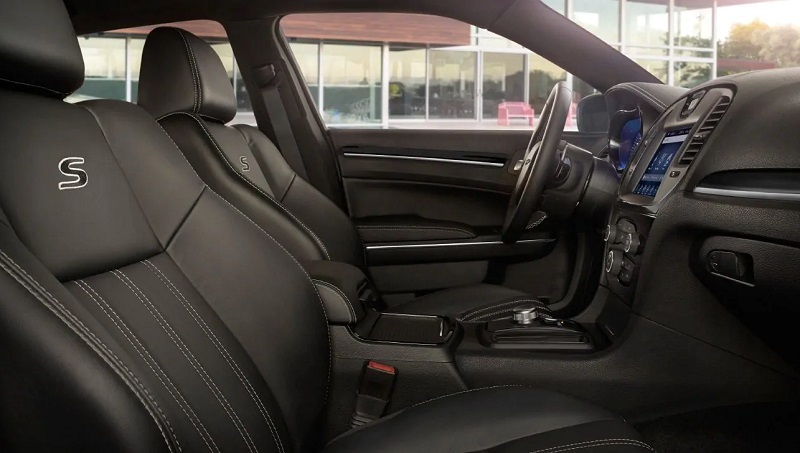 When they shop at dealerships serving Amityville, Westbury, Massapequa; people often purchase luxury cars for three major reasons: comfort, quality and safety. The Chrysler 300 satisfies Long Island drivers with its sturdy design and excellent safety equipment. Its standard ParkView camera improves visibility when motorists travel in reverse. A service called Uconnect Access can automatically assist owners when breakdowns, accidents or robberies occur. Optional safety features are popular in the Empire State; they range from adaptive cruise control to an automatic collision alert system. The car can also warn fatigued motorists when they start to drift out of the right lane. This model has easy-to-use controls and infotainment menus that minimize distractions. The sedan has achieved high ratings in crash tests. The Insurance Institute for Highway Safety deemed it “good” in four out of five tests, and federal ratings ranged from four to five stars. 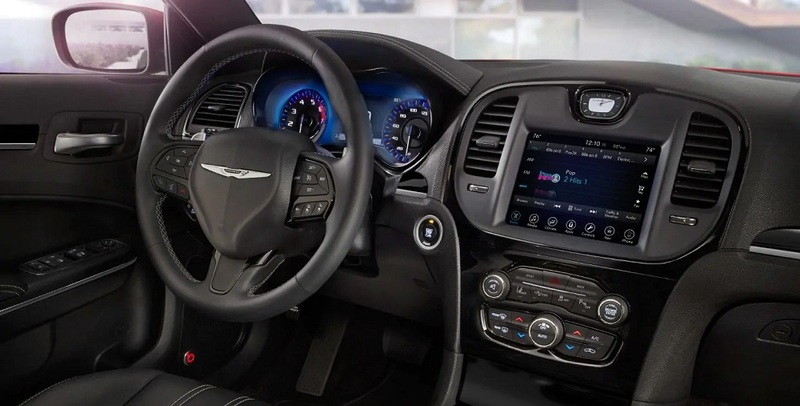 If you’re seeing the 2019 Chrysler 300 on Long Island as family transportation, you’ll like all the protective technology it offers. The available 360-degree Surround View Camera merges images from four exterior cameras to display a virtual top-down view of your surroundings. Go into Reverse and on a split screen, the rear view adds guidelines to help you judge your eventual path and how far you are from obstacles. Any vehicle that tries to cross your backward direction will set off warnings from Rear Cross Path Detection. If you get too close to an obstacle, Rear Park Assist® lets you and can stop you from having an accident. Front Park Assist does the same from the front. You can also let Parallel and Perpendicular Park Assist take care of parking by handling steering while you manage accelerator, brake, and gear position. When you drive forward, Full-Speed Forward Collision Warning alerts you to frontal impacts and engage Active Braking so that you avoid an accident. You won’t be meandering across the highway when LaneSense® Lane Departure Warning alerts you and Lane Keep Assist brings you back in line. When you change lanes, Blind Spot Monitoring tells you if it spots a vehicle in your blind zone. With Adaptive Cruise Control, the 2019 Chrysler 300 maintain a safe distance from vehicles up front and automatically slow down or speed up to compensate for traffic changes. The bottom line is that the Chrysler 300 is a versatile and highly capable vehicle with an elegant design. Long vacations, shopping trips and commutes become far more pleasant behind the wheel of this attractive yet practical sedan. Drivers on Long Island New York can complete daily tasks, enjoy sightseeing and savor fun, high-performance driving in the same mid-priced vehicle. 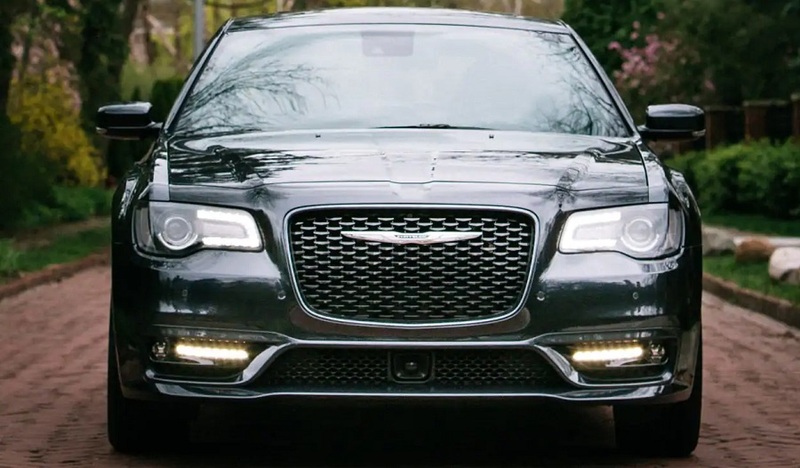 If you’re interested in the 2019 Chrysler 300, be sure to visit Security Chrysler. This trusted dealership serving Amityville, Westbury, Massapequa offers competitive prices and a convenient buying process. 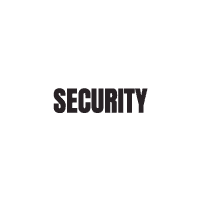 To learn more about this model or Security Chrysler, please dial 877-821-6090 today.